Welcome to the Doyle Creek Mercantile and Corral and a step back in history to a slower paced time. 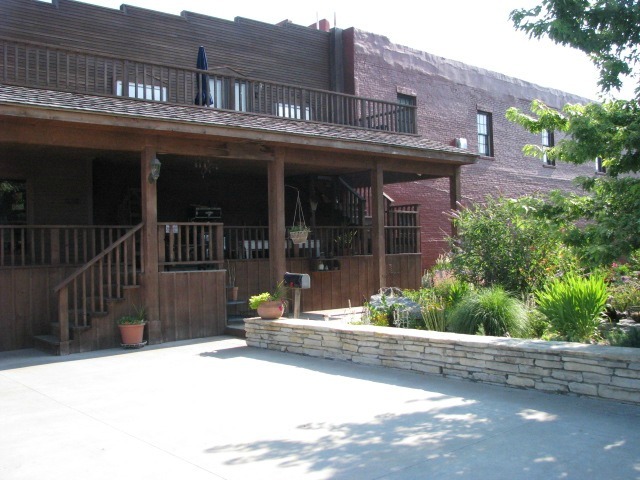 Explore the building with its many antiques and old west atmosphere. 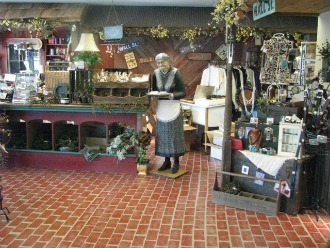 The Mercantile hours are Wednesday-Saturday from 10 a.m.-5 p.m. The time may very 15 minutes either direction. This is a plaza on the prairie with gifts, candy, cards, gourmet foods and clothing. Owners Randy and Judy Mills along with daughter Sara Lou Dawson operate the Mercantile. The building was a car garage back in the 1950s and after that it was a Ford dealership in the 1970s. The building was purchased and remodeled several years ago by the Mills family. The architecture is interesting to say the least. There is a date marker in the cement with the year 1948. 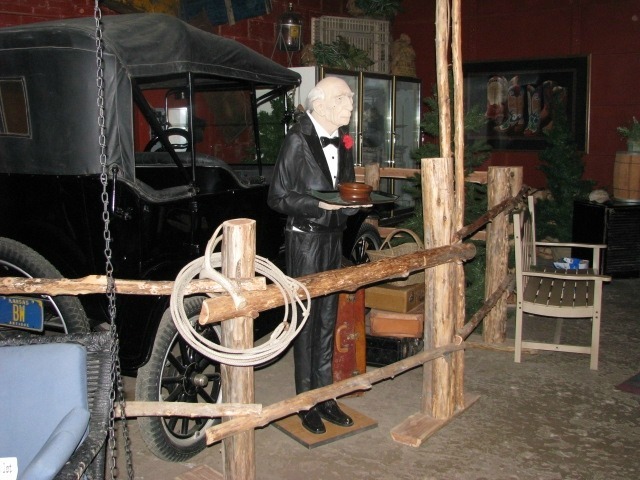 The butler will greet you in the dining area of the Doyle Creek Mercantile. You will find many, many antiques and interesting artifacts of the 1800s ... even a pair of red, long underwear! The outside of the building has a western appeal. The garden corral has been the site for several weddings. Wander through the garden and identify the many plants. There is also a one room over night accommodation upstairs in the Mercantile. 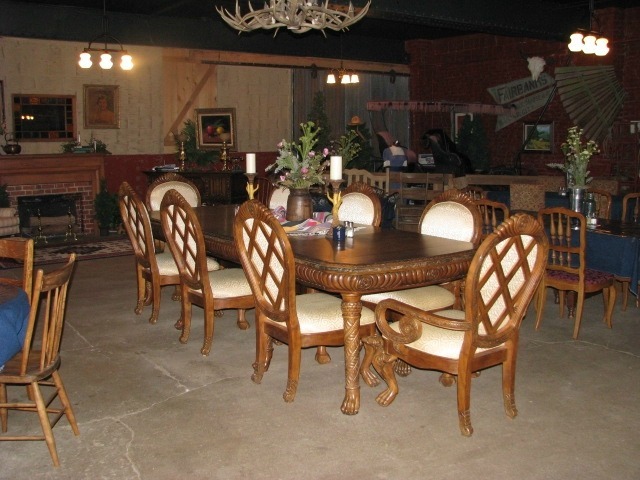 The decor is eclectic in nature; everything from the unique deer antler chandelier to the antique table in the middle of the room. It is more like a museum of western life in the 1880s than a mere dining experience. About once a month there is a steak feed and you will not walk away from there hungry. A mouth watering inch thick steak grilled to perfection by Troy Dawson and the rest of the menu is indeed a treat. E-mail to get on the mailing list for notifications of the next steak feed!